Well, indeed it makes you a "screw-guy" but in some way I got used to it. Anyway, when I will move to some bigger box, I'll make it probably with a digi-pot. Well that all depends on what size you are looking for. 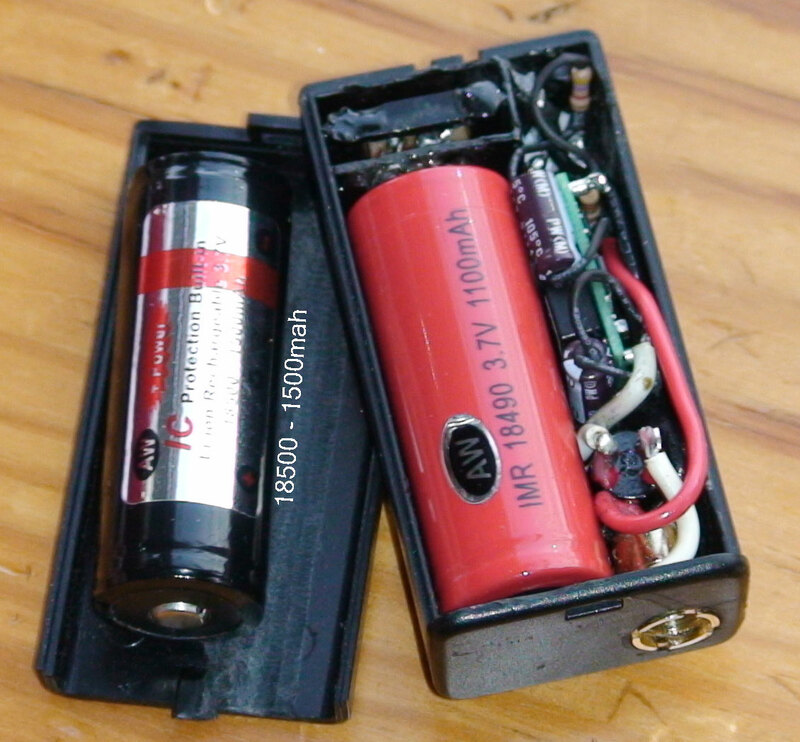 My smallest is a 9v battery box (sold everywhere) but not much room left for a D.P. Cool. Glad it worked well. Do you worry about short circuits with the exposed bare wiring? I'm shocked: after 8 hours of vaping 2.2 Ohm coil on 4.3V, my TrustFire has 3.58V in it! Anyway: it exceeded my expectations It's a quite high efficiency. Very good. I was getting 7 1/2 hrs on my TF flames and only 4 hrs on my AW IMR. Got my new sample ptn04050cad, h, and z samples today. I am going to give this mod another try Friday. Hopefully these samples won't be bad like the last 2. Good thing I just took a surface mount soldering class. Hope you have better luck with these. Avoid excessive heat/time when soldering the board pins. Be careful of solder flow around board posts. Tiny components are mounted close to solder points. Before powering up, double/triple check wiring correctness. Avoid using very low atty/carto resistance. Avoid powering with no load as per datasheet. It doesn't mention what a load is but a meter may do. i've burned it and tested in on various atty's i tried and tested it on .6ohm atty. it burned the regulator just for my curiosity. 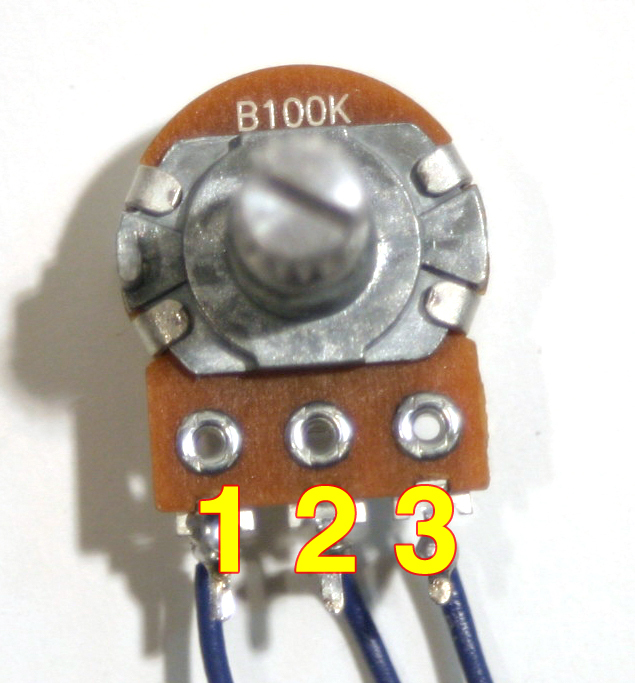 like you mentioned on the other booster thread lower resistor "The higher the resistance the lower the voltage. And Vice-a Verse-a"
Can i use the 1/2 watt instead of 1/4 watt? does it make a difference? Please let me know. Yes, you can. You shouldn't change it the opposite way... this value says how much power it can dissipate. The only drawback for you is the size, which is bigger. The CGR is a great battery to use w/ this boost module especially because boost circuit amperage is higher on the input than on the output so a capable battery is necessary. The reason I said to avoid low resistance atty/cartos is because this Boost-topology switching regulator is not short-circuit protected. I found with using less capable batteries like the 14500 TF battery, it performs much better w/ load resistances of 2.0 and above. I have used 0.5 ohm loads w/ Li-Po 20C batteries and worked really super exceeding over 30watts. But I wouldn't make that a regular practice for fear of damaging the module. Something I would like to point out is that this PTN04050C was design to work with an output voltage of NO LESS THAN 5 volts. We are hacking the design to accommodate our ranges of output lower than the 5v. What I am saying is we are stressing out the module. Utak3r is correct with saying that yes you can go higher w/ the wattage rating. You can always safely go higher in any type of circuit. It's just the physical size factor you have to deal with. A 0.05 Watt (1/20 w) rated resistor is the min recommended size (or higher). 1% tolerance is also recommended. By using the 10K instead of the 4.7K, you increase the bottom and top end of the output range. Thanks for the tips. I am going to test the regs before use this time, with a 1k resistor for a load just to be sure. 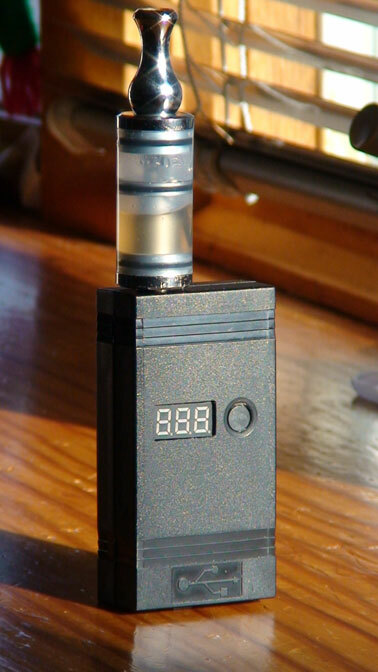 It will be nice to have a single battery small mod. 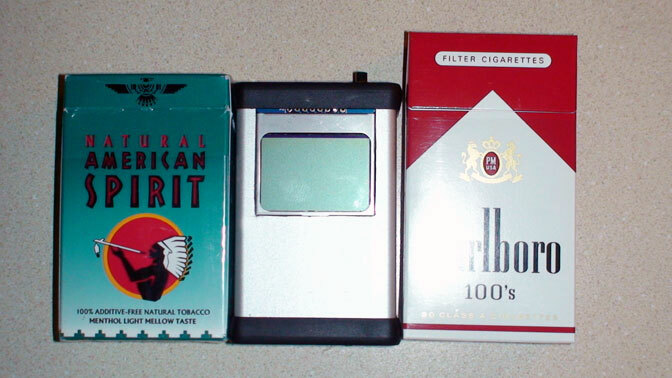 All my others use the Dimension swadj3 reg and have to use two batteries for the correct input voltage. Damn, my 9V box is 1mm too thin! Too thin for what? battery or for D.P.? I have been lurking here for a long time and never had a time or patience to take couple of pictures and share with you for what i am sorry. Since the topic is not dead and i own you at least that much, here are pictures of my take on .44 mini mod as a token of appreciation. The posting of your build is much appreciated. I wish more members who have benefited from this forum would do the same. Btw. I have another mod waiting to be published. Same box and same battery but this time its dna 12. I just love that box. Right now i am trying to figure out how to use dropbox links lol. I have some sheet of it but have yet to use it. Welcome to the board. Check the 2nd post in this topic, parts and values are in the diagram. You can get the regulator free as a sample from TI.com. The rest of the parts can be gotten from Jameco, digikey or mouser. The 510 atty connector is at madvapes.com. Good luck with your project. well for some reason i can not change the quantity on the sample order to anything other than "0" on the TI website. maybe they are out or not giving samples any longer, even though it says in stock? If you just registered it may take a while for your account to be confirmed. I have found that if I go six months between sample orders they will allow me another 5. Give it another try tomorrow. I can't remember if they send a confirmation e mail or not. Welcome to the forum @kilo. Also take a look at the .44++ mini boost mod. thank you, now i am even more excited. still need to get passed ordering the samples. seems i still can not order anything? oh well light just try a local parts store. Breaktru, where did you get the bullet case switches? or do you custom make those? Do you sell the switches as an assembly? Sorry Kilo but I do not. Also sorry about the phone difficulties. Maybe you should?? I have a DE 44 Magnum and would be the perfect tie in piece. Well I screwed up the first one. Checked out good before I started. I think too high a temp while soldering. I took Craig's and your advice and got a Hakko 888 soldering station, I love it. Tossed the old weller iron in the drawer, think I will get a blade tip for it and use it for cutting plastic. I will try another regulator tomorrow. Do you have a recommended temperature for soldering the 04050 regs? (2) This model is NOT compatible with surface-mount reflow solder process. Thanks for the info, FlameOut. I looked up the temp on the 40 watt Weller iron I was using...900 deg F. Way to much. I was quick but the high temp probably did it in. Now I can set the Hakko temp correctly. I always wear my ground strap and keep the regulators in their antistatic bags until I need them so that pretty much rules out ESD. Triple check the wiring, and use solder sparingly, test with a 1K load and use a 2.4 ohm atty. So it must be the heat. I think I will use 360 deg F, so far that temp works well with the 60/40 solder. Thanks again for the help. Nice find FlameOut. Now we know how not to damage the Informous module. @pnguin, you are using good safety precautions. Tha k you kind sir. That is exactly what I needed. I'm going to try the ++ if I can ever order the circuit. Just built another one using your circuit. This time using a 18650 Battery for longer life. It works but I do have one problem. It is stuck at 5VDC (No Load). The pot has no effect on output at all. I've been going over this thing for a few hours and cannot find the problem. It's the 3rd one I've built. Any suggestions as to why this one is stuck at 5 Volts? If your wiring, parts and solder connections are good. I would bet that the converter is damaged. Pin 3 on the board was not soldered in. There was no bias input on pin 3 but the circuit rang out fine.. Reattached carefully and all is well. Thanks! Good to hear it wasn't a bad board.